How do I add a new expense? 2. Select the date when the expense was made, Pay type, Amount, Currency and Payment Method. Then attach a document (receipt or invoice image) and add any necessary comments before you Add. 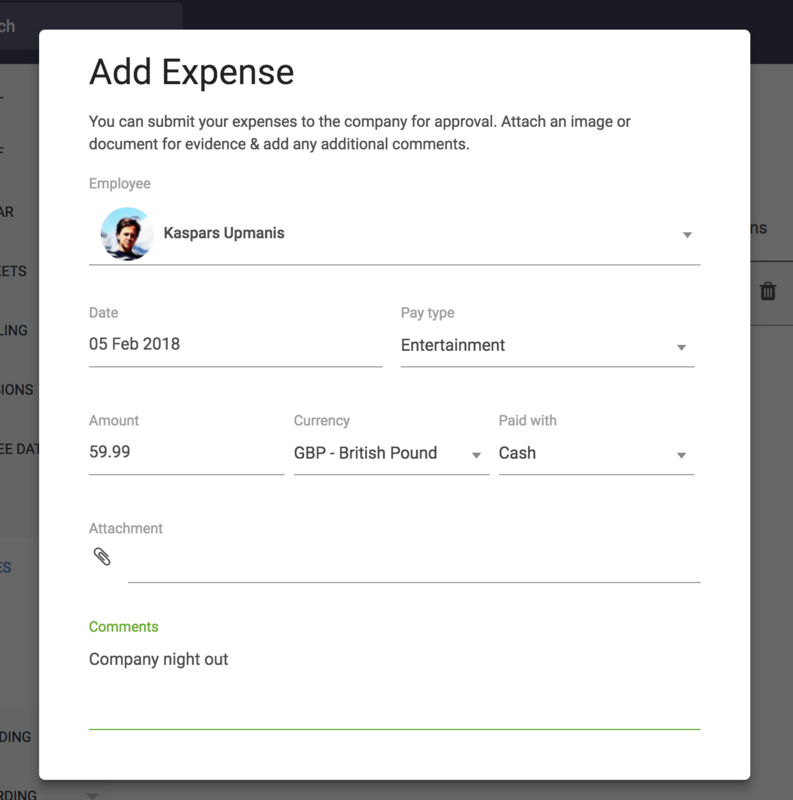 Here you can modify, review, or delete your expenses, submit them separately or in bulk, and track their status. To add an expense on your mobile, head to the left side Menu > Expenses. Here, you will view the status of all expenses. 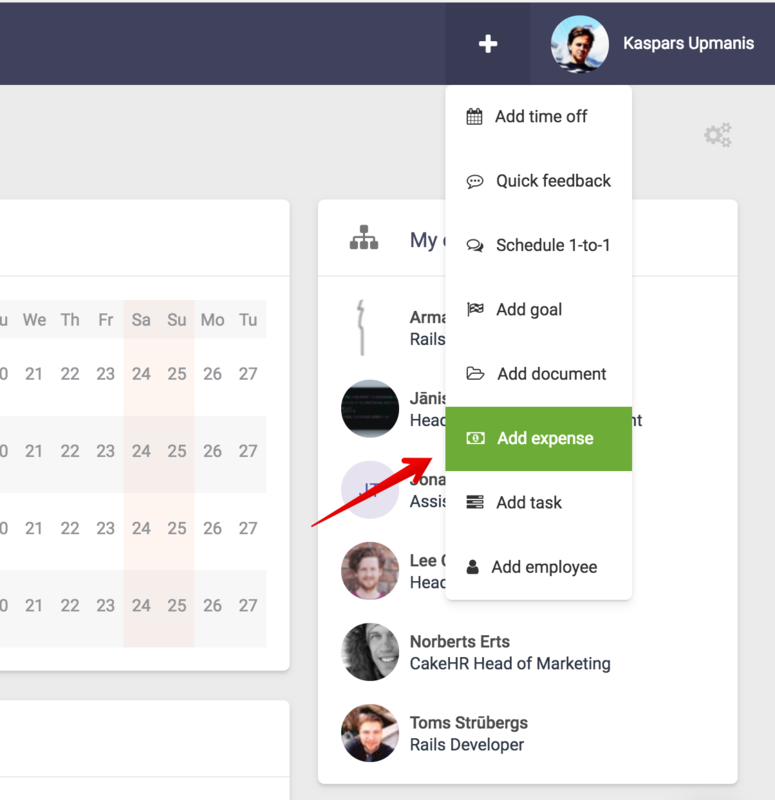 Press the "+" button to add an individual expense. Take a photo or Upload Image as an attachment as well as categorising and commenting on your claim.